NASCAR Gander Outdoors Truck Series driver Austin Wayne Self has been suspended indefinitely by NASCAR, the sanctioning body announced Monday. They say Self has been suspended for violating the substance abuse policy. Self drives the No. 22 AM Racing Chevrolet for the team owned by his dad, Tim. Self had been out of the truck since Martinsville Speedway, giving way to Bubba Wallace. The team initially said Wallace was put in the truck to elevate its performance. 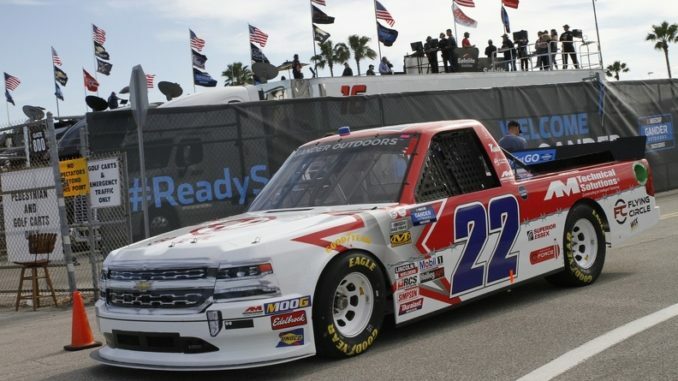 Austin Wayne Self has 66 starts in the Truck Series, including five top-10 finishes, one of which came in the season opener at Daytona International Speedway this year. His best career finish of second came at Daytona in 2017. The next race on the Truck Series calendar is at the beginning of May at Dover International Speedway. A 20-year-old from Ontario, Canada, Tyson Lautenschlager is a third-year journalism student at Humber College in Toronto. He is currently the managing editor of OnPitRoad.